WaPo Columnist: Is Trump's Doctor Okay? Well, we’re back to this again. Like many in the liberal news media, The Washington Post had their doubters about President Donald Trump’s medical report. The president is in excellent health: good heart rate, blood pressure, and cognitive function. There was a sigh among the press corps, who so desperately seemed to want to hear that the president was a cheeseburger away from a heart attack, had memory issues, or something else was wrong with him to paint a narrative that he was an unstable mess. Were they hoping for AIDS, Hepatitis C, necrotizing fasciitis, or anything to further denigrate this presidency? If you watched the presser, where questions like, is Trump addicted to drugs, were brought up—I’d say that’s a red flag that this press crew wanted him to have at least one terrible ailment. 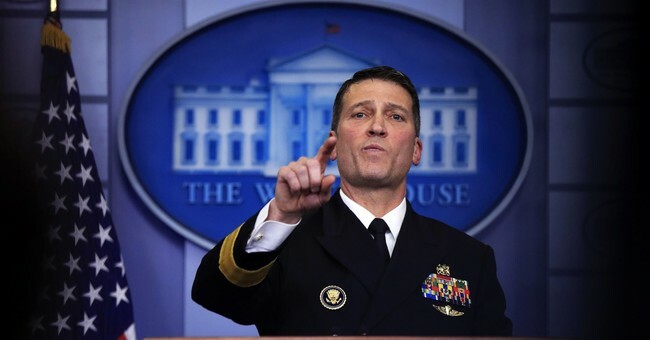 One op-ed writer from the Post decided to go there again, asking if the president’s doctor, Rear Admiral Ronny Jackson, was okay? Ah! So, Trump now has magical powers. Also, yes, he didn’t take a psychiatric exam, that doesn’t mean he’s crazy. Also, Dr. Jackson was Obama’s doctor—funny how that is omitted from the column. So, I’m sorry, media—but you won’t be covering the president’s death or loss of motor skills any time soon. My question is are y’all okay? Another one of your narrative just blew up in your faces. Oh, but you know, for Hillary Clinton, questions about her health were off limits.